Have you heard of a four-point inspection and wondered whether you should get one? Or maybe your home insurance company has asked you to get a wind-mitigation inspection. These two inspections don’t take long, but they can provide valuable information for you and your insurance company. My team and I have been providing home inspections in the Gainesville, Florida area for more than 25 years. Our five-star team is trained and tested each year so we can continue to provide accurate, insightful information about your home—or future home. In this article, I’ll dive into what we examine when we do four-point and wind-mitigation inspections. Then I’ll explain why homeowners can benefit from these specialized home inspections. What is a four-point inspection? Because usual wear and tear can cause damage to these areas of a home, we inspect these areas to see whether they’re in good shape. HVAC, electrical, and plumbing systems and roofs that are in poor shape, improperly installed, or out of date can cause major damage, including water damage from leaks and moisture and increased risk of fire. These four components are the most important systems in your home. Our team can check each of these systems and verify whether they’re in good order so you—and your insurance company—can have peace of mind. A four-point inspection can prove to your insurance company that your home is low liability. Looking to purchase a new home? Don’t hand over your hard-earned money without making sure these important components are in good shape. What is a wind-mitigation inspection? We inspect any feature of your property that can provide wind resistance. Why is this important? As our fellow Floridians know, storms and hurricane-force winds can cause a significant amount of damage. Building codes in South Florida require structures to withstand winds up to 150 miles per hour. If your home can withstand sustained, high-speed winds from summer storms and hurricanes coming in off the coast, you and your family will be safer—and your assumed risk for storm damage will be lower. Homeowners and buyers can get four-point and wind-mitigation inspections along with their standard home inspection. 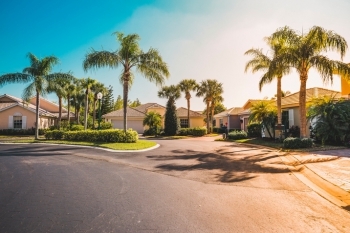 These inspections are tailored to Florida-specific conditions—we make sure your home is in good shape so you can be prepared for hurricanes and other natural disasters. So what is the main benefit of the inspection? Having an inspector sign off on the condition of your home can lower your home insurance premiums by up to 20 percent. For some, the payoffs can be even higher—my team saw one client lower their $1,700 home insurance policy after inspection by a whopping $475. Some insurance policies require new homeowners or those renewing policies to get a four-point and/or wind-mitigation inspection. Are you in the market for an inspection? HouseMaster is here to help. Give our team a call!